30 Rounds of 7.7 Jap. 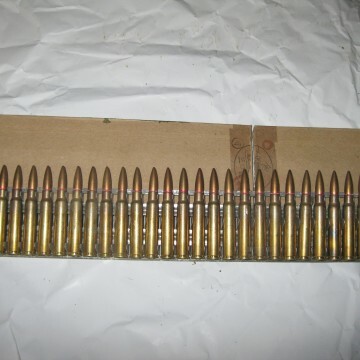 semi-rimmed, Armor Piercing machine gun ammo on a brass feed strip in the original WW II box. 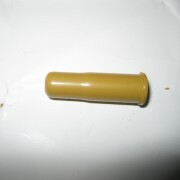 (Not for the Arisaka rifle) THIS CAN ONLY BE SHIPPED VIA FEDEX. 30 Rounds of 7.7 Jap. 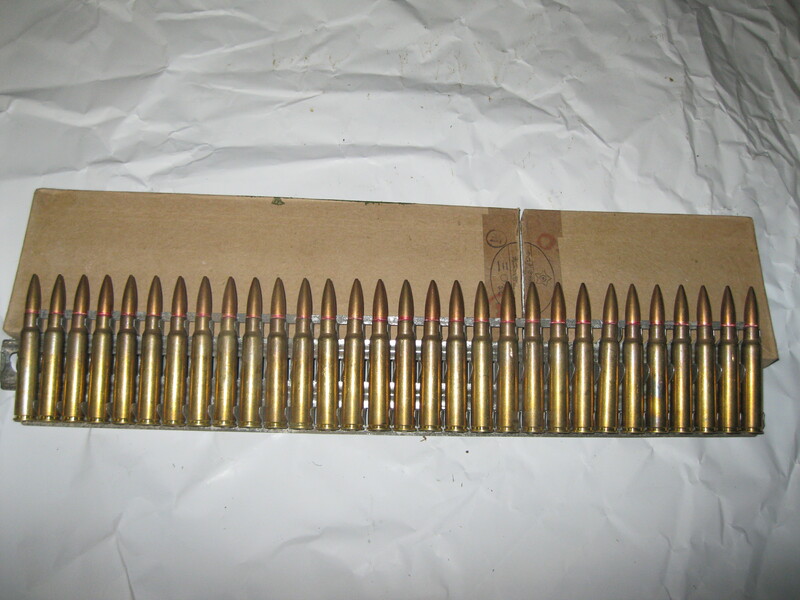 semi-rimmed, Armor Piercing (Primer color is different) machine gun ammo on a brass feed strip in the original WW II box. 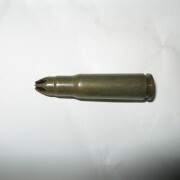 (Not for the Arisaka rifle) THIS CAN ONLY BE SHIPPED VIA FEDEX.